Tech4Learning has rebuilt its popular Pics4Learning image library to better support student project work on new devices. The new interface makes it easier to find and save images for use in student projects on a wide range of devices, including handheld phones, tablets, and large screen monitors. 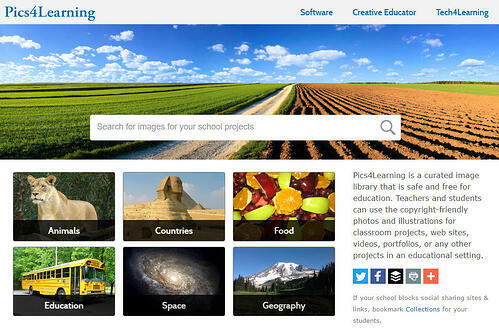 Pics4Learning is a curated image library that is safe and free for education. Teachers and students can use the copyright-friendly photos and illustrations for classroom projects, web sites, videos, portfolios, or any other projects in an educational setting. Launched in 1999, the image collection is used by a million students and teachers every year for their classroom projects. To use images from the collection, visit: www.pics4learning.com.